Famed photographer Mario Testino turned his attention to an Australian model (aren’t all Australian models, really? There is just so much gorgeous talent to be found downunder.) for his latest in his ultra steamy towel series. Following a shoot for Vogue Italia, Testino adds Jordan Barrett to the long lineup of top models, who have posed for his ongoing series. Jordan Barrett has also been snapped for an editorial entitled Giggle alongside Anna Mila Guyenz for the pages of Vogue Italia. Connecting with photographer Mario Testino and stylist Sarajane Hoare, Jordan also struck a pose for the Italian magazine’s February 2016 issue. 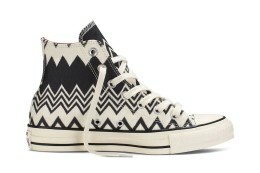 In zig-zagging Chuck Taylors. That’s how. A debut runway show, a new creative director and season-less dressing could make Perry Ellis the neon sheep of menswear at New York Fashion Week.